So once we understand that we’re actually discounting a number of fatal crashes, we know the figures about which we’re talking are low to begin with. That means the rate of bicycle crashes and bicycle injuries is actually quite a bit higher than these statistics suggest. Researchers say that in 2015, there were 818 bicyclists who died in crashes with motor vehicles. Nationally, this accounted for 2.3 percent of all traffic fatalities.This represented a substantial increase from the 729 bicyclists killed in 2014. There were, however, fewer bicyclists injured – about 10 percent less, bringing the total to an estimated 45,000. We know bicycling hasn’t dropped off to any significant degree in Boston or elsewhere in the country, which means the crashes we’re seeing are quite a bit more severe. Older bicyclists are increasingly at-risk. The average age of those killed between 2006 and 2015 rose from 41 to 45. The death rate per 1 million people was six times higher for male motorcyclists than for women. Almost 70 percent of bicyclists who died in motor vehicle crashes in 2015 were killed in urban areas, like Boston. More than 60 percent of fatal bicycle crashes happened at non-intersections. Three percent occurred in bike lanes. Evening rush hour tends to be the most dangerous time for cyclists – specifically between 6 p.m. and 9 p.m. 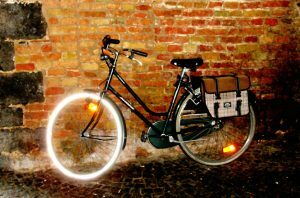 Researchers also concluded that most bicyclists were struck by the front of the motor vehicle, and that light trucks were the most common type of vehicle involved in bicyclist deaths. As far as the state-by-state breakdown, Massachusetts was not the worst place in the country for bicyclists, and this likely has a lot to do with the very active cycling community advocacy in this state. We don’t allow bicycle fatalities to go unnoticed or not acted upon. We are a very vocal group. Still, bicycle crashes continue to remain problematic in the Commonwealth. Out of 306 total traffic deaths in 2015, nine of those were bicyclists. That accounts for almost 3 percent of the total. That means we rank ninth in the country with regard to the percentage of total traffic fatalities that are bicyclists. We have 1.3 bicycle crash deaths for every 1 million people. Although the NHTSA report noted there were no bicycling deaths reported in Boston that year, it should be pointed out that fatalities tend to be a small fraction of the total number of bicycle crashes reported each year. In terms of the highest number of cyclist deaths, Florida ranked No. 1 with 150 lives lost.